Four-time World Champion John Higgins has given his backing to the Westfield Health British Transplant Games. 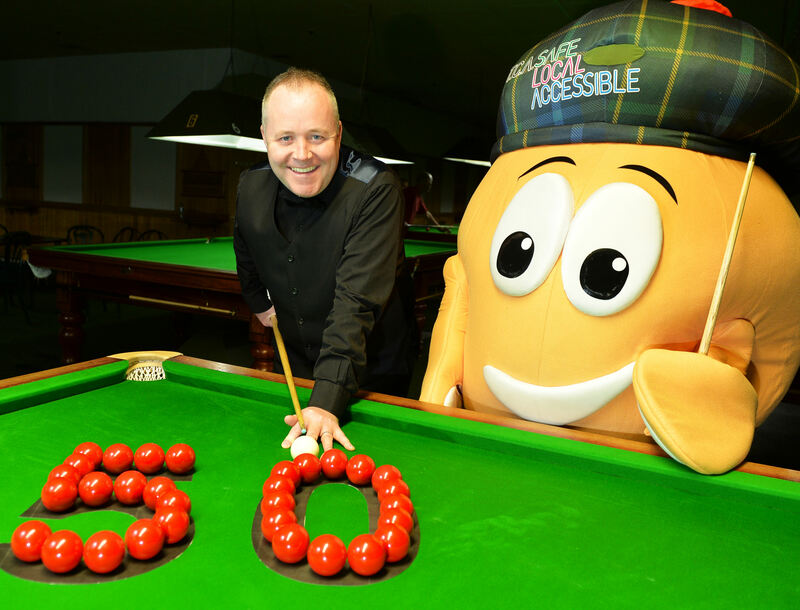 He attended a publicity event at the Red Triangle Snooker Club in Cumbernauld this week to mark 50 days until the start of the games, and he met some of the competitors who will be taking part in July’s event. Wishaw’s Higgins said: “I’m delighted to support the Westfield Health British Transplant Games in North Lanarkshire. “In some ways snooker is the ideal transplant sport because it offers athletes gentle exercise in a very social environment. The athletes and their families will tell you that the games are an opportunity to get together and share their stories. Where better than around the snooker table. The event will attract more than 770 transplant athletes of all ages. Organised on behalf of the charity Transplant Sport and sponsored by East Kilbride company DM Integrated (Fire and Security), the aim of the Games is to raise awareness of organ donation and increase sign ups to the NHS Organ Donor Register (ODR). In addition, they aim to demonstrate the benefits of transplantation, encouraging transplant patients to regain fitness, while increasing public awareness of the need for more people to sign on the NHS Organ Donor Register and discuss their wishes now with their families. Linda Johnston, one of the event’s organisers from North Lanarkshire Council, said: “The area has seen a boost to the numbers of people on the Organ Donor Register – with a record 124,559 people currently registered in North Lanarkshire. “Each year sees around 30 people in our area receiving an organ transplant. “And in the past year 6000 new people have joined the register, but more still needs to be done.